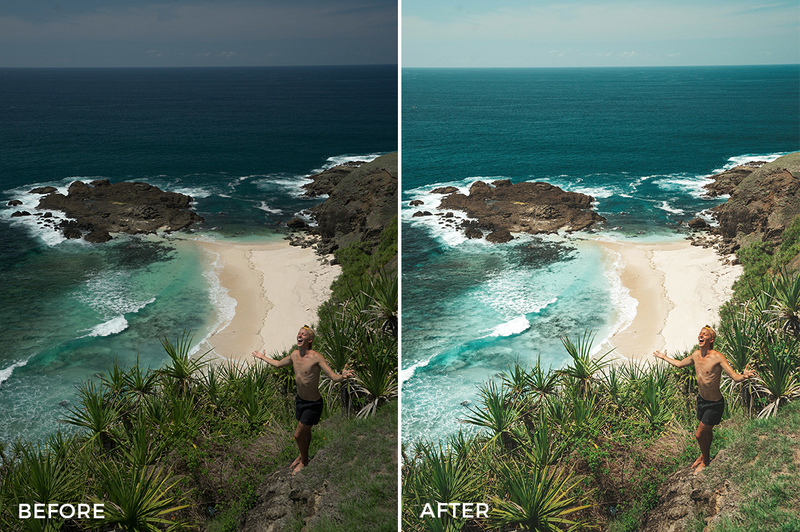 BEACH – COOL | Amazing for a clean, light edit of a beach or tropical environment! 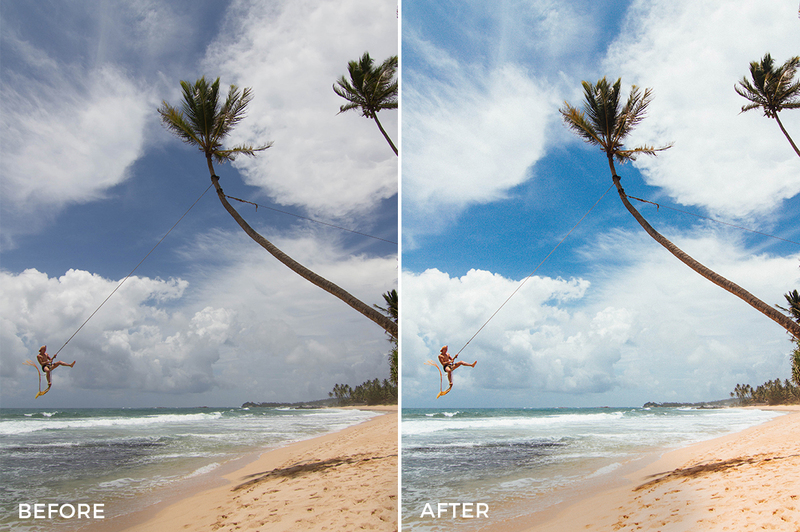 BEACH – VIBRANT | Adds a little more colour, pop and warmth to your coastal photography! 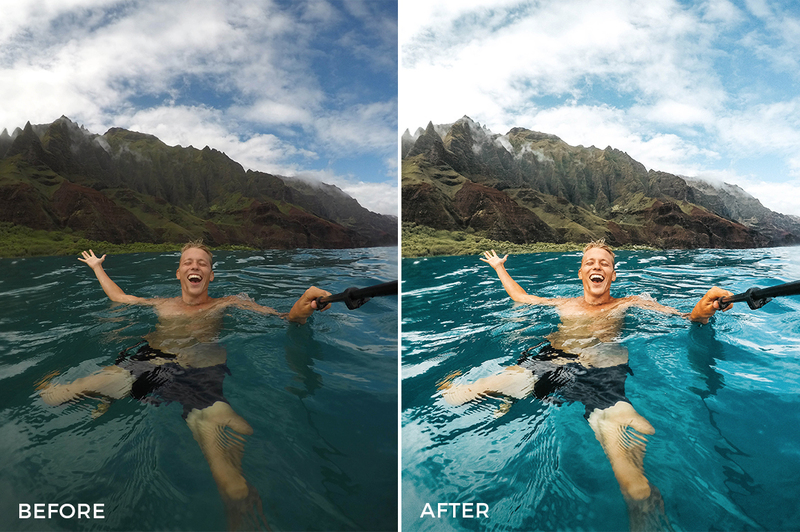 GOPRO – BASIC | Great for ALL TYPES of photos but works great with a GoPro to help balance out the colours! 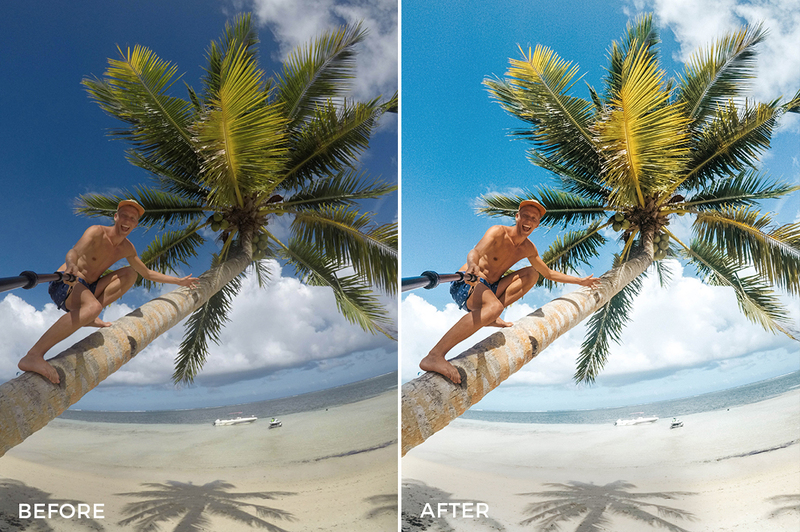 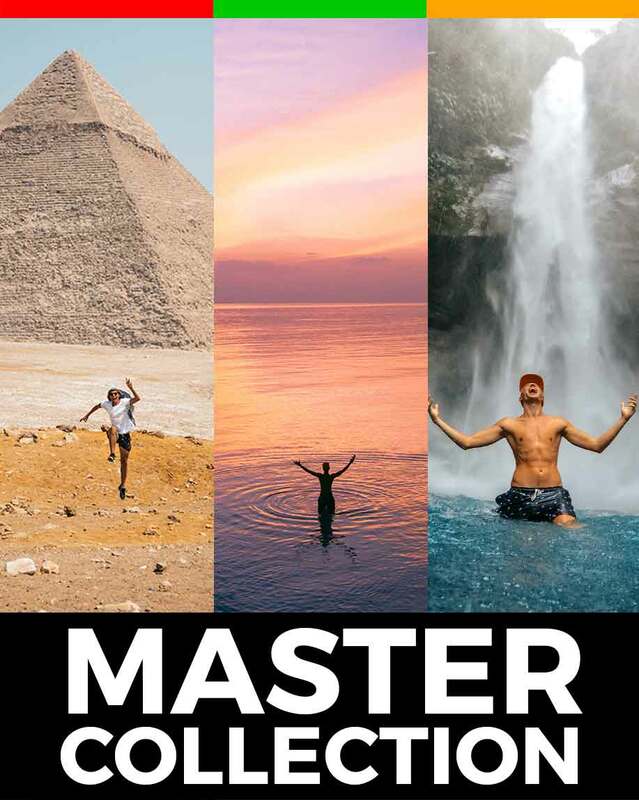 GOPRO – TROPICAL | Create that palm tree vibe to your photos! 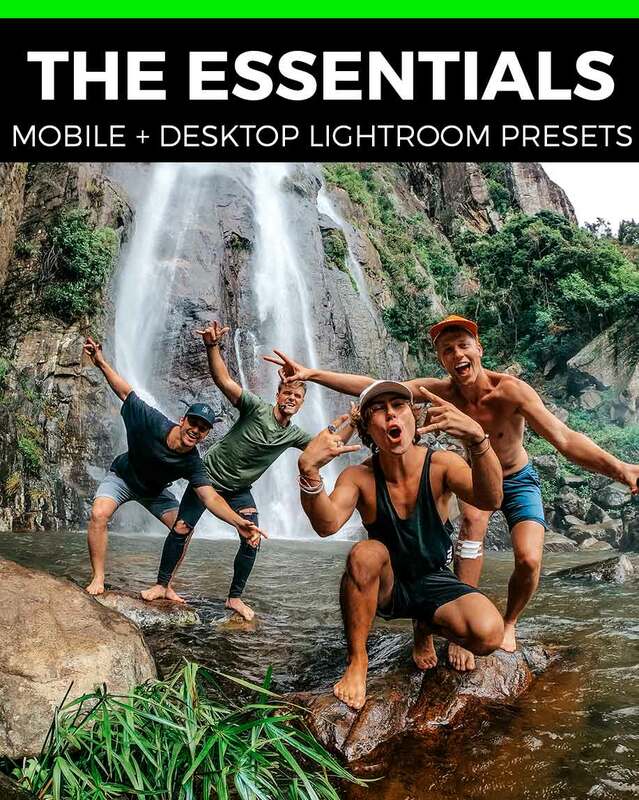 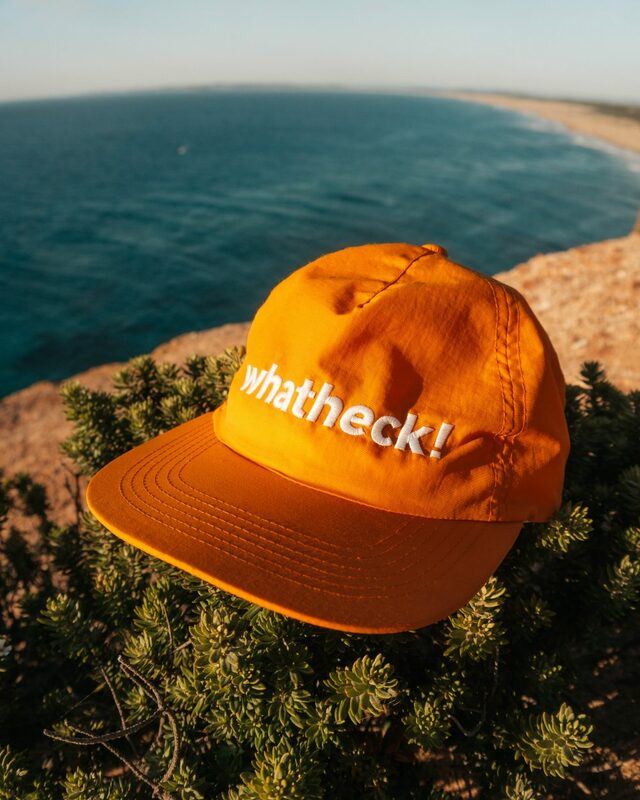 Works with all photos but especially great for GoPro! 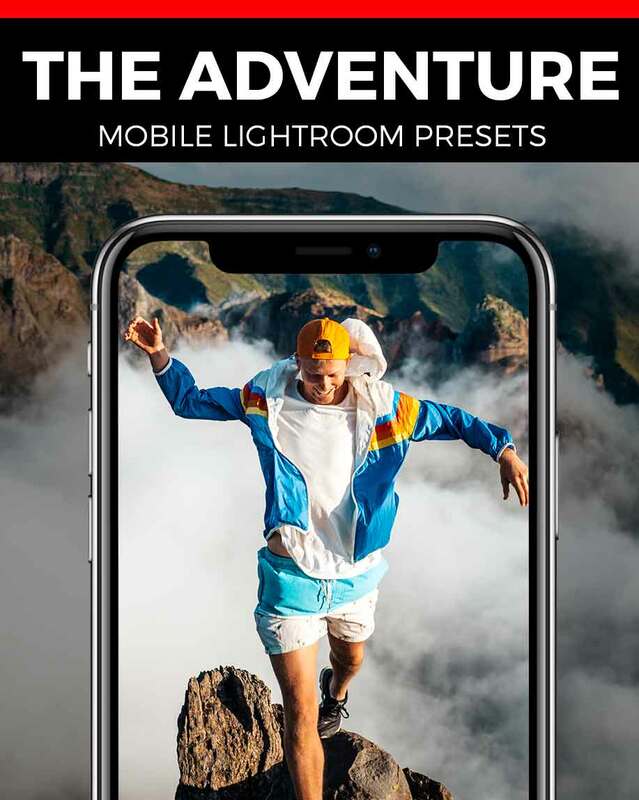 SUNSET – INTENSE | Take your sunsets to the next level! 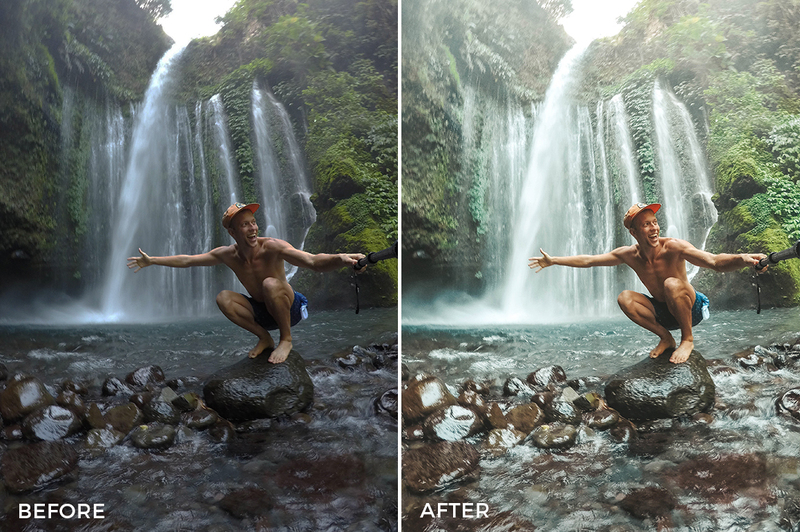 This filter creates a vibrant and rich POP on your sunsets! 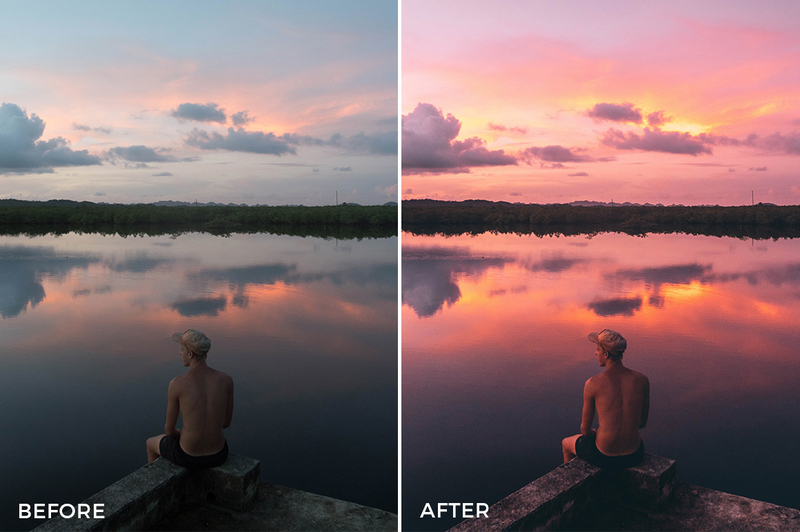 SUNSET – REAL | Did the sunset look better in real life? 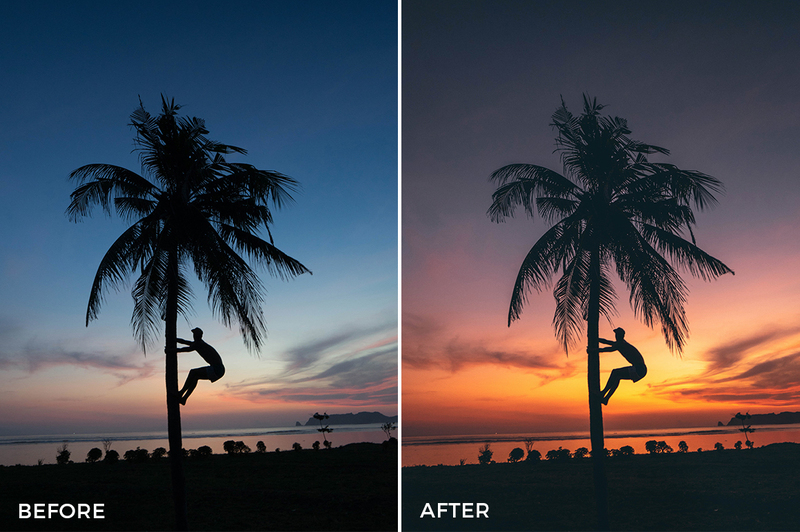 This preset helps bring out the REAL colours of the beautiful sunset! 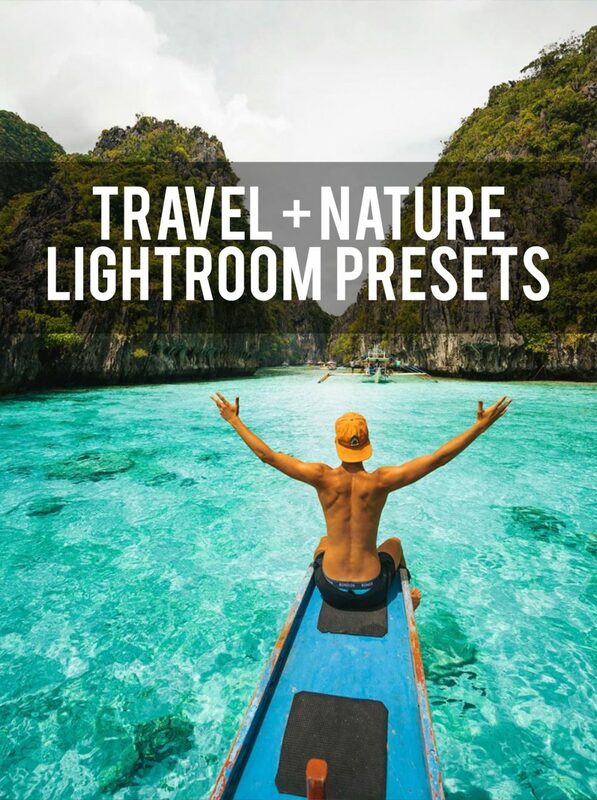 SUNSET – SOFT | Add that vintage sunset vibe to your shots with this softer yet more old school look!! 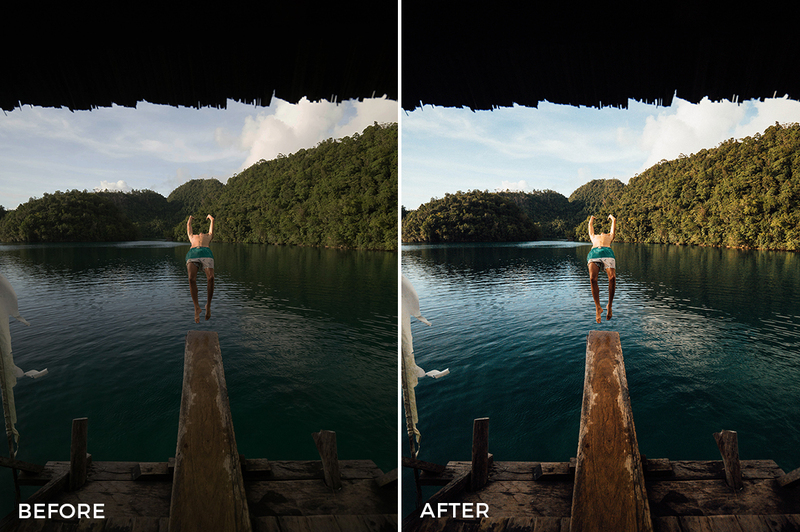 TROPICAL – SUMMER | A warm, loving tropical preset that helps your photos have that extra summer edge! 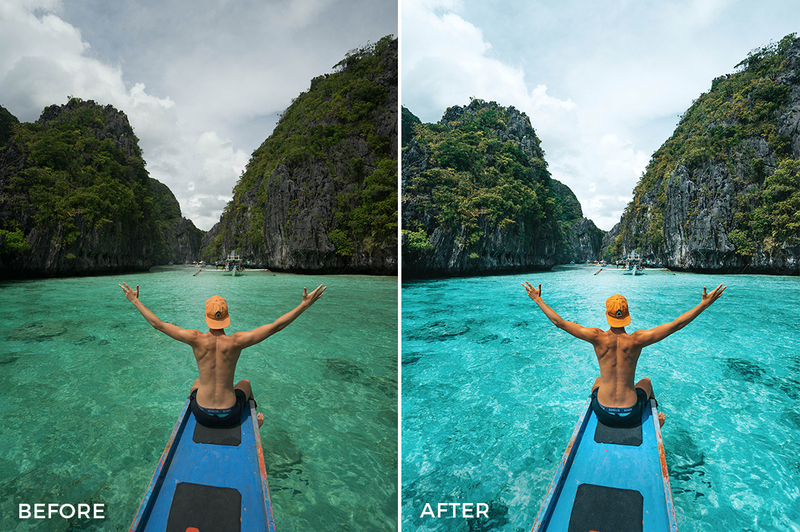 WATER – INTENSE | A real secret to editing is creating that BLUE BLUE water, this preset does exactly that!